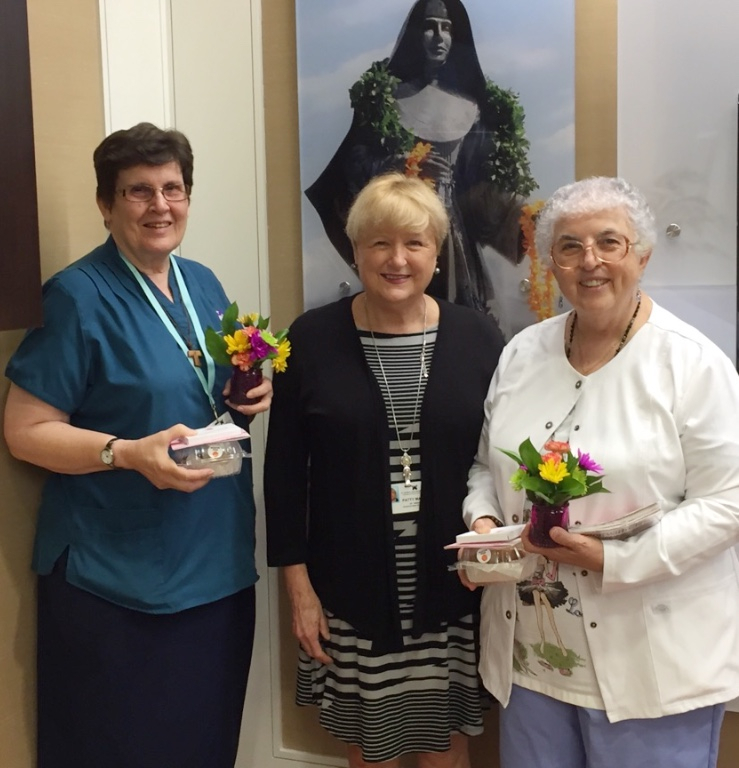 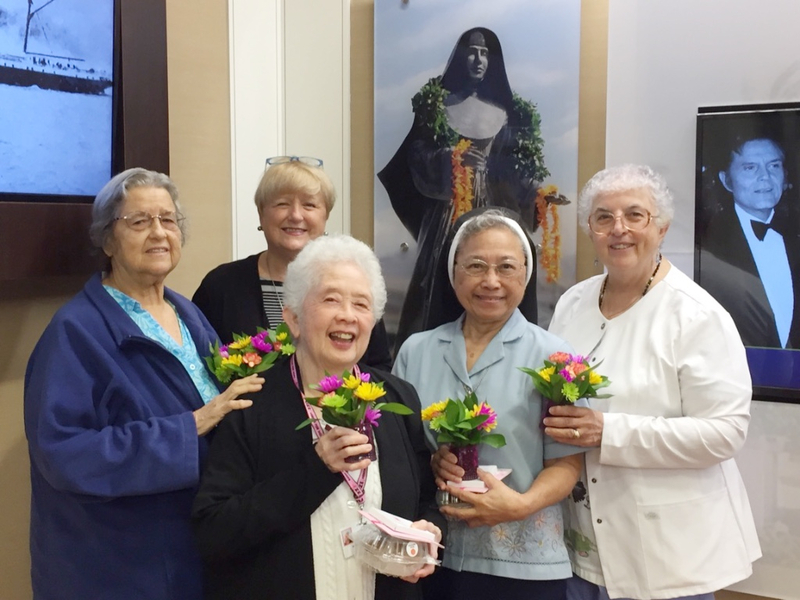 St. Francis Healthcare System presented thank you gifts to the Sisters of St. Francis for their many contributions as a way to honor them during National Catholic Sisters Week from March 8 to 14. 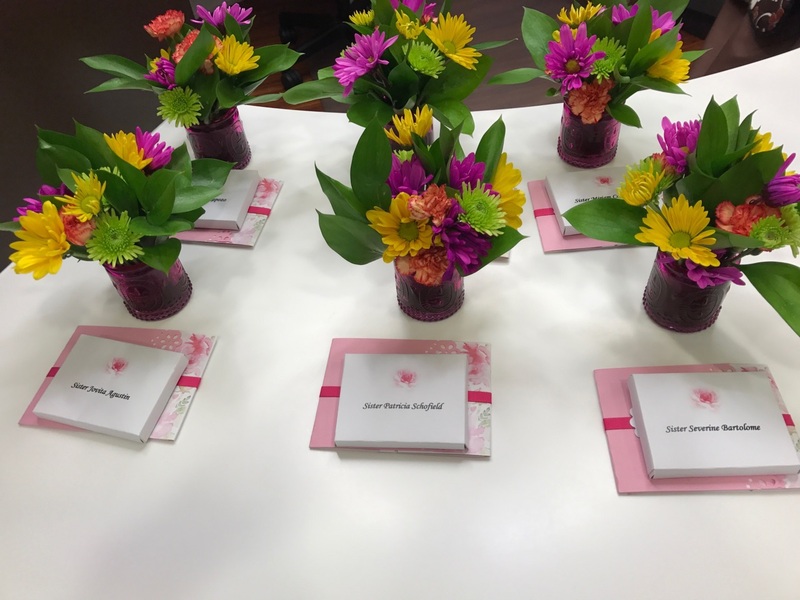 According to Patty Martin, Vice President – Mission and Organizational Effectiveness, who spearheaded this special initiative, it was a team effort. 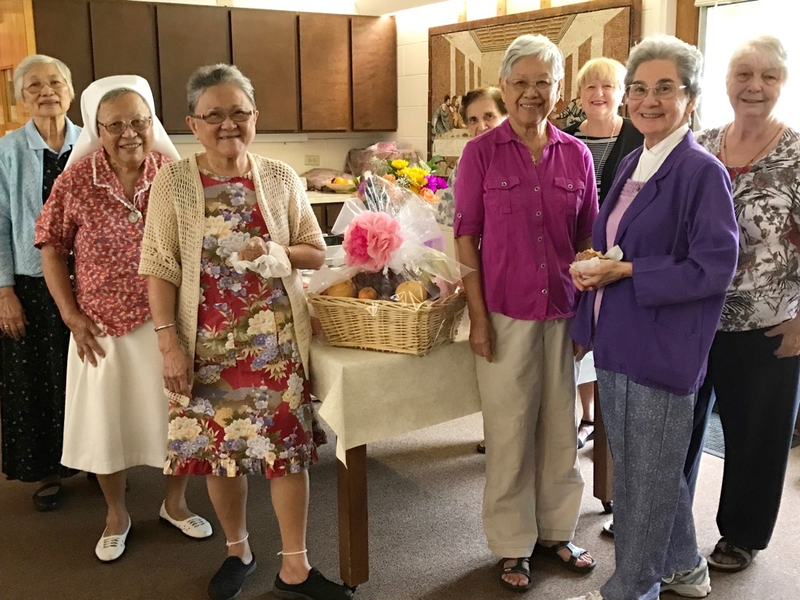 L ynette Tsukamoto made the cards and gift boxes, Trish Walsh-Domingo arranged the flowers, Maylynn Wong picked up pies and malasadas, and TammyTamashiro helped organize the deliveries to Our Lady of Ke‘eau and to the Sisters in Ewa.